It is critical that you use cooler water when steeping first-of-the-spring-season green tea such as Japanese 1st Pluck Ichibancha green teas. Tender leaves can scorch if exposed to water that is too hot, producing a bitter, astringent, and unpleasant cup of tea. This unusual tea is delightfully fragrant and delicious. It is made in the famous Uji tea growing region of Japan and is a tea-enthusiast’s dream. 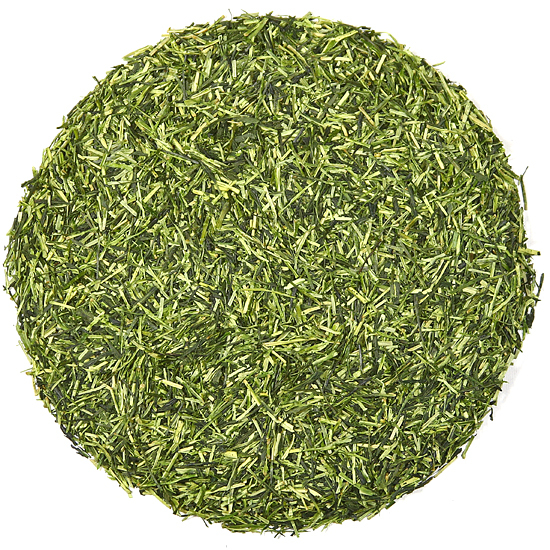 Green Kukicha is a blend of early spring Sencha green tea leaf and slender tea bush twig clippings – it has all the fresh, ‘kelpy’ nuance of flavor that we expect from a high-quality Japanese green tea, and also has the added benefit of having a natural reduction in caffeine. This is because the stem portion of the blend does not contain significant caffeine, thereby reducing the overall amount of caffeine in the tea. 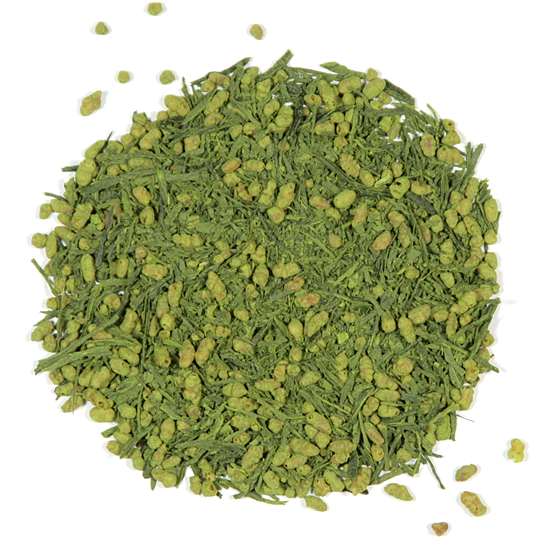 Green Kukicha is very different from our toasted Kukicha tea and is a fresh-tasting green tea. All of the varying preparations of Kukicha from Japan will vary, based on the quality of the tea leaf used to make the tea, and this is why ours excels: because all of the components are top-quality from expert farmers in Uji prefecture, one of the most revered places in Japan for tea. For instance, to obtain the stem, workers use a special pair of small scissors to trim off the first several centimeters of stem from below the leaf. This piece of hollow stem is lightly baked, cut again, added to the carefully-processed leaf, and finish-fired. The steeped liquor has an opaque color that illustrates its lush body. Occasionally pieces of stem float lazily on the surface of the infused tea and these are said to be reminiscent of bamboo or reed floating on a river or lake. 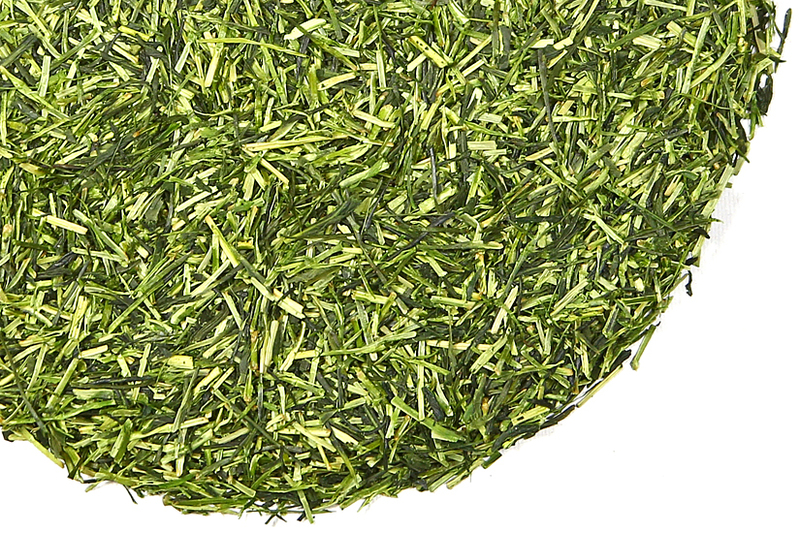 Green Kukicha should be steeped at a cooler temperature than other Japanese green teas. It should be able to be re-infused at least once, with an even-cooler temperature water. In Japan, it is often enjoyed just below room temperature as a refreshing light beverage.